The studio on Level 3 in Scott Hall Mills is a great place to host away days. 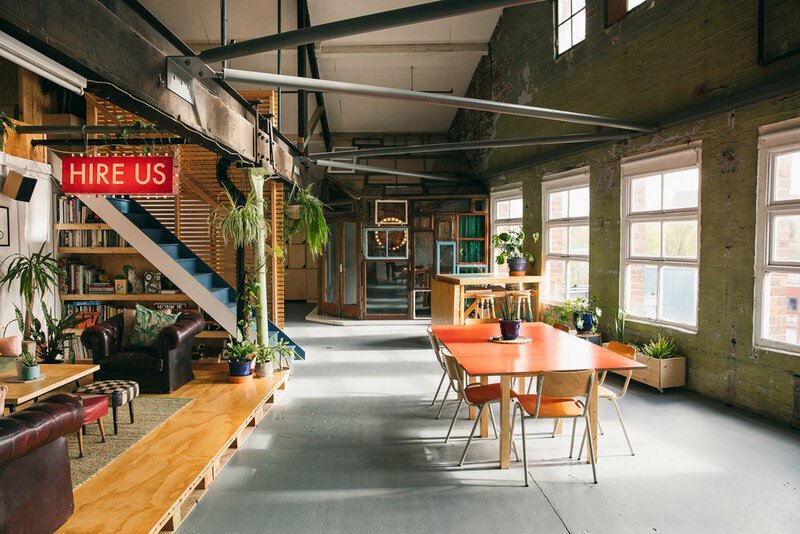 The space works perfectly as a creative space for team away days - hiring the studio includes use of projector, sound system and kitchen. We can accommodate people seated casually, lecture style, or as a workshop. We work frequently with businesses and Universities. Props and staff can be made available for your needs. We offer the space for hire 7 days a week (10am-6pm), and evenings (6-10pm), subject to availability. Please contact us with your requirements or for more information. Subscribe to our mailing list to receive updates on upcoming events and news.